In late 2017, Validic conducted a survey of nearly 200 hospital and health system executives, directors and clinicians to better understand their opinions on and current usage of digital health technologies. These technologies include in-home medical devices, consumer health apps, and wearables. This is the first blog of a three-post series. Stay tuned for the following posts, and download the full survey results here. As the physician shortage continues to grow and burnout remains a critical issue, many providers are turning to digital technologies to ease burden on their care teams and solve inefficiencies in existing clinical programs. According to the survey of nearly 200 hospital and health system innovators, the use of patient-generated health data (PGHD) from digital health technologies offers many benefits to remote monitoring programs. 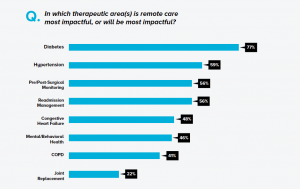 Looking across applicable use cases for PGHD, 77 percent of those surveyed responded that remote care programs have the most value in treating patients with diabetes. Over half of respondents agreed that these data-driven programs are also impactful for people with hypertension, in managing pre- and post-surgical care programs, as well as in the management of preventing readmissions. The implementation of remote care programs across such use cases helps to improve the continuum of care. Rather than working with patients episodically, providers are able to consistently monitor a person’s health remotely and intervene if they see the development of a negative trend or any other issues that may be made clear from a patient’s data. For people with chronic conditions, like diabetes or hypertension, the ability to share health data with doctors in near real-time and on a regular basis can help identify trends occurring outside the doctor’s office impacting health progress. Nutrition and stress are examples of data points which, if not visible to providers, can hinder the improvement of outcomes. In addition, the ability to be more educated on and more involved in one’s health can significantly improve engagement in and adherence to such programs. In post-surgical care, using in-home medical devices and consumer apps and wearables can help both providers and patients manage their health outside the hospital. By monitoring PGHD, care teams can spot any troubling trends in health and intervene early to prevent a hospital readmission. 65 percent of respondents said that they are currently using or have used in-home medical devices in their programs of care, and 61 percent have used consumer devices like wearables. This shows that the majority of providers have already taken an interest in using such technology to offer more continuous care to patients. 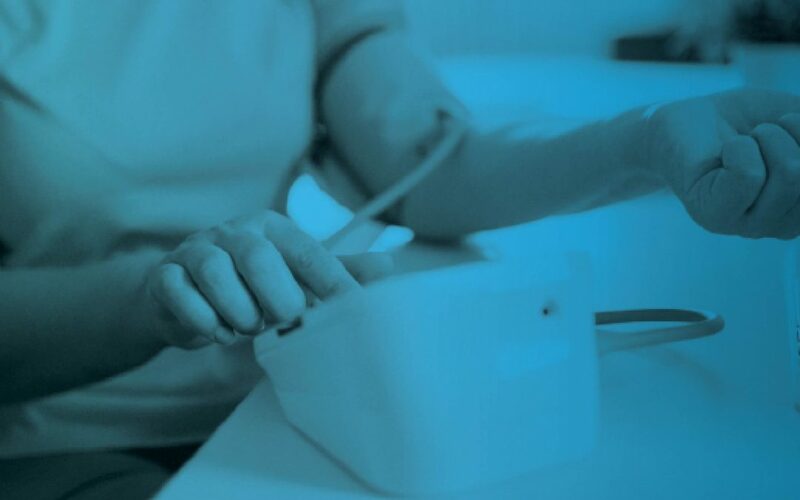 The use of in-home medical devices and consumer wearables can streamline inefficiencies in care by offering remote management of health, and therefore, a more timely connection to his or her care team. With this communication stream and feedback loop, care teams are able to manage a patient’s health proactively — reacting before a negative health event occurs. This model also puts less of a burden on physicians, as in-person visits may be reduced and the health of patients can be shared and managed by a team who all have the information necessary to provide treatment respective to their speciality. As more providers turn to remote monitoring to improve outcomes for patients and improve efficiency in hospitals, the value of devices and apps will continue to grow in relevance and usage. 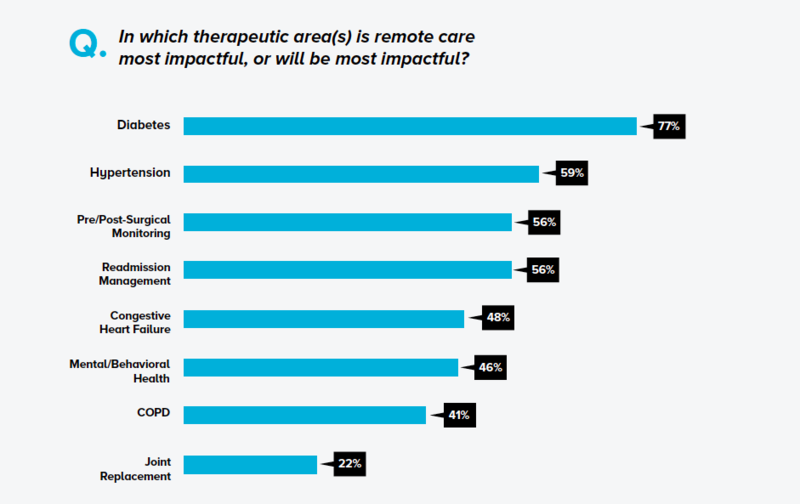 Learn more about how healthcare leaders are using remote care — and hope to use it in the future — in the full survey report. This is the first blog in a three part series. Read part two here.